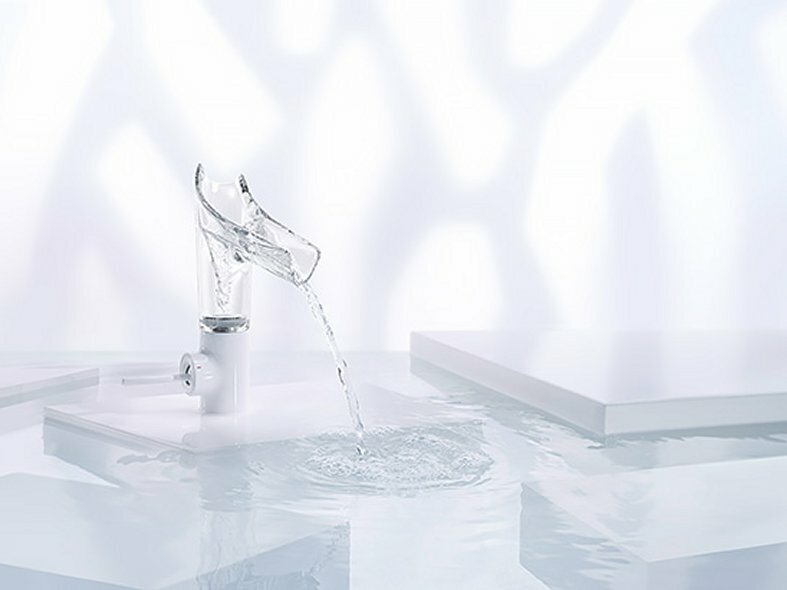 Axor Starck V allows us to experience the vitality of water. A powerful water vortex accentuates the inherent vitality of nature. The glass body and open-ended spout make it possible for us to experience this natural element at home with unprecedented intensity. 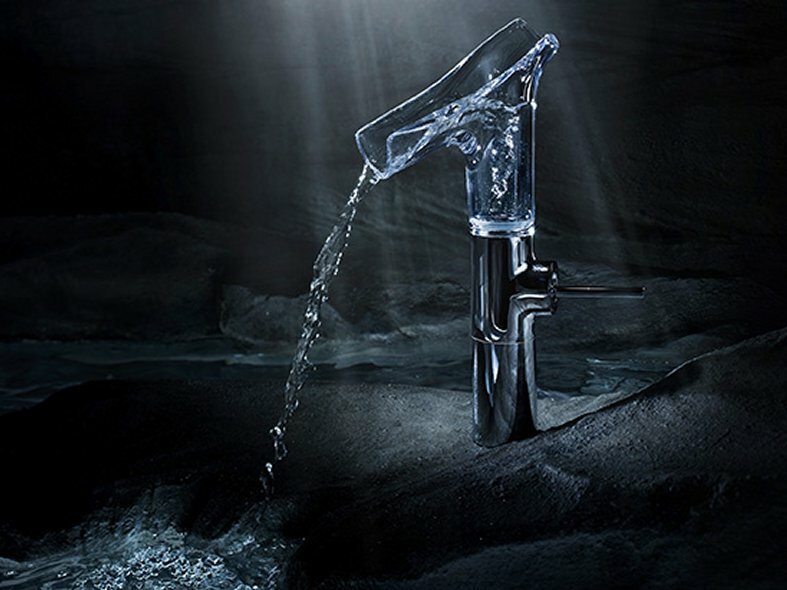 "Axor Starck V is a revolution, the essence of minimalism - a vortex, this wonder of nature, surrounded by complete transparency," said designer Philippe Starck when describing the basic concept of his minimalist design. A body made of transparent crystal glass, so that you can see the vortex spin. An organic and sculptural shape, giving full scope to the vortex. "It's a pity that we have never been able to see the water in the mixer". For Klaus Grohe, son of the Hansgrohe founder, that served as the springboard for developing this new product. 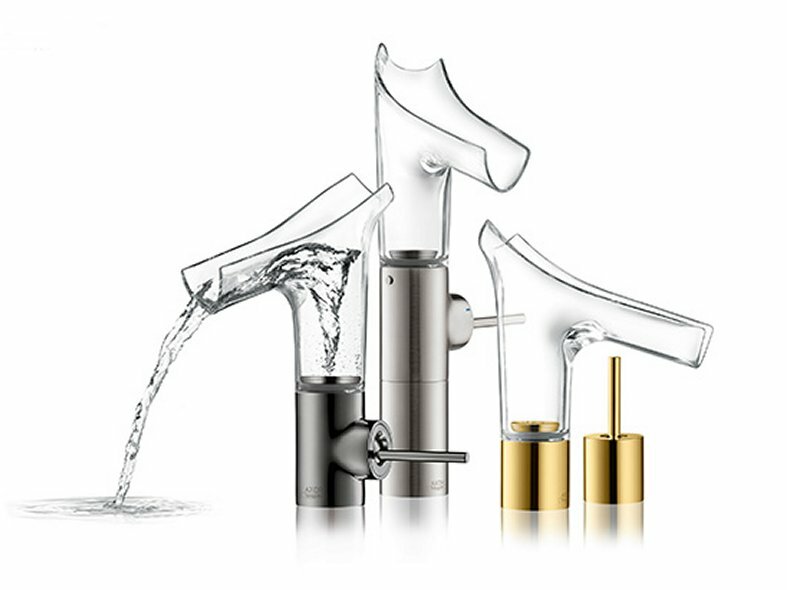 Axor Starck V was inspired by his passion for water. The Hansgrohe spray researchers and Axor researched and developed until they were finally able to unmask this vortex principle in the form of an exclusive mixer. 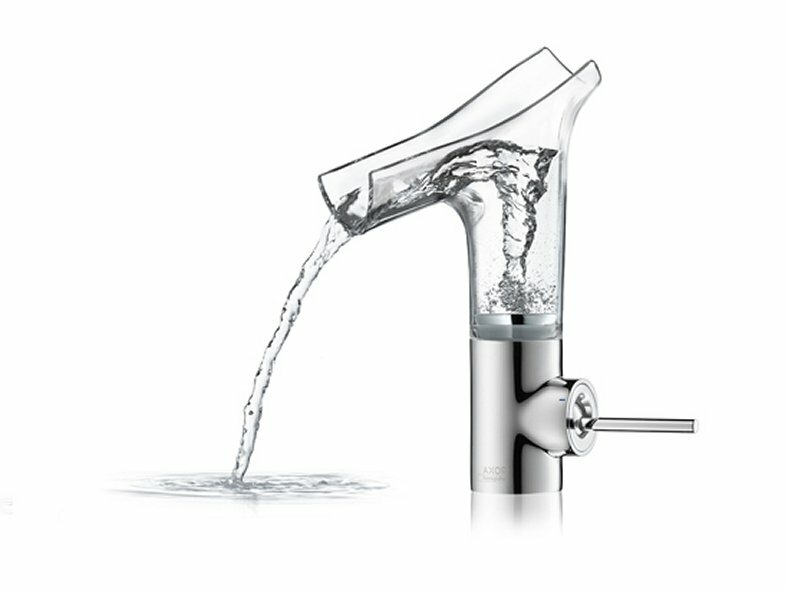 In addition to its beauty, Axor Starck V also boasts functionality: The easy-click-in design and safety-stop function make it really easy to remove the glass body from its base to clean it, for example - even without having to close the valve. The material has also been very carefully selected: crystal glass is high-quality and also dirt-resistant, which means that it can also be cleaned conveniently in the dishwasher. As well as the chrome and high-gloss white variant, the Axor Manufaktur department also offers 12 other exclusive finishes, such as brushed nickel for the base and a sandblasted crystal glass variant for the body.